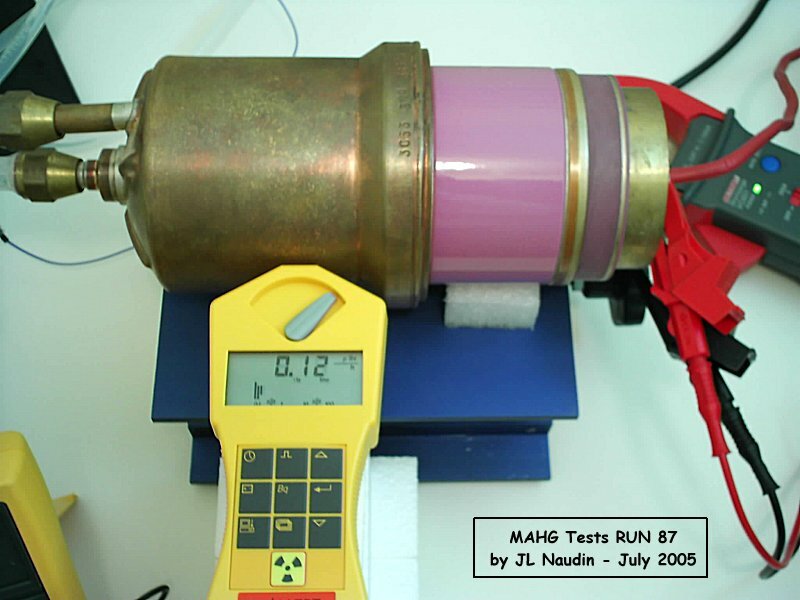 The purpose of this test is to check if some eventual radiations are emitted outside the reactor. 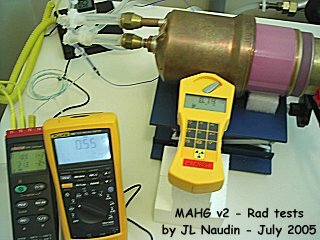 The radiations emissions are logged in real time with a radiations counter placed close to the main reaction chamber of the MAHG. 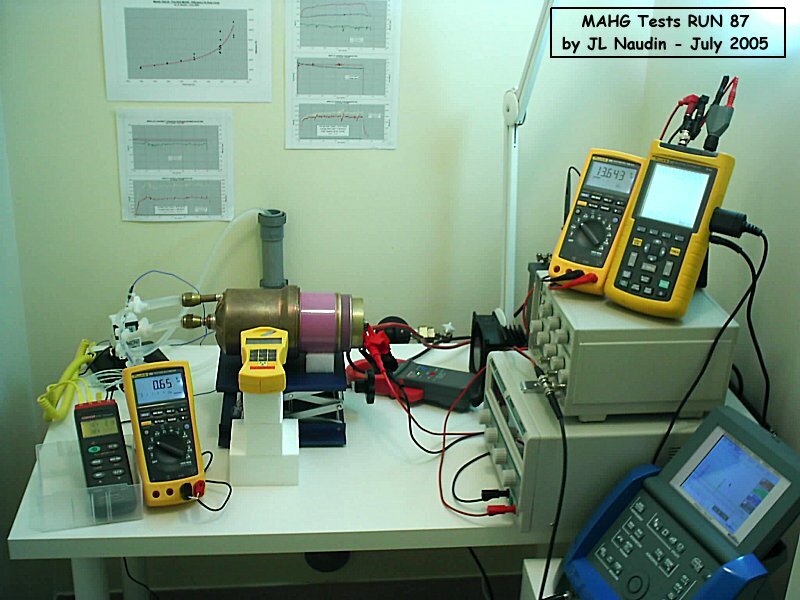 I have used a Gamma-Scout® handheld radiations detector.The Gamma-Scout® reliably measures alpha, beta, gamma and X-radiations, it is the latest development in handheld Geiger counters, designed specifically for homeland security.